Chiropractic care is both an art and a science, based on the innate healing powers and wisdom of our bodies. Our staff exists to assist you in creating and maintaining a healthy lifestyle that allows you to get, and then stay, active. With regular chiropractic care you create a natural balance between the spinal cord and your nervous system; combined	with regular exercise, nutrition, and other wellness choices your life can be a fuller, happier one. published in the February issue of UC Health. Upper Cervical Care Brain Stem Health Care is related to every function that goes on in your entire body. Precision Upper Cervical adjusting is a little-known chiropractic procedure that corrects the position of the top vertebrae of the spine, the atlas and/or axis. By correcting the tilt, shift or rotation of these vertebrae, the effects of many conditions can be minimized or eliminated altogether. Light Amplification by Stimulated Emission of Radiation or "LASER" for short, uses specific wavelengths of light (red and near infrared) to create therapeutic effects. These effects include improved healing time, pain reduction, increased circulation and decreased swelling. 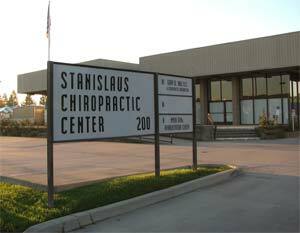 The MedX Spine Rehabilitation rounds out our total health package here at the Stanislaus Chiropractic Wellness Center. This supervised program improves muscular flexibility, endurance, and strength, thus making the Chiropractor's treatments more effective.